Inter winger Ivan Perisic is reportedly a man in demand as Arsenal have been joined by West Ham, Tottenham and Manchester United in the battle for his signature. As noted in BBC Sport reporter David Ornstein’s tweet below, the Croatian stalwart was reportedly a January transfer target for the Gunners, but of course a move from Inter didn’t materialise. 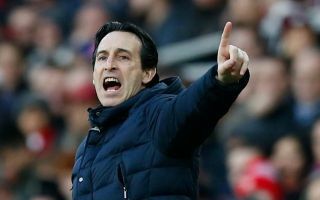 Instead, Arsenal added Denis Suarez to the squad on a loan deal from Barcelona, but as he prepares to head back at the end of the season coupled with Aaron Ramsey’s free transfer to Juventus, Unai Emery will need to bolster his options in the final third ahead of next season. According to The Sun, they remain interested in landing Perisic, but their task could be getting increasingly more difficult as it’s suggested West Ham are the latest side to be credited with an interest in the 30-year-old. Tottenham and Manchester United are also specifically mentioned as interested parties, while it’s noted that Perisic has retained his £35m valuation. It hasn’t been the greatest of seasons for the Croatian ace, as he’s managed seven goals and eight assists in 39 appearances thus far, which is likely to result in a drop off from previous campaigns. Nevertheless, he brings plenty of experience and quality to the table, while not only offering creativity and a goal threat in the final third, but also good work-rate and commitment to offer something defensively too. While Emery has the likes of Pierre-Emerick Aubameyang, Alexandre Lacazette, Mesut Ozil and Henrikh Mkhitaryan who all arguably excel in a more central role, Perisic would add width to his attacking options, as well as versatility given his ability to play on either flank or through the middle if necessary.